Is your healthcare marketing strategy struggling along on life support? Have your efforts failed to deliver the results you hoped for? Maybe your ROI remains far below your costs or you just feel like you’re missing the mark with your target audience. If these concerns sound familiar, don’t worry. Your marketing strategy may be ailing, but with the right treatment you can nurse it back to health. And you can follow the same three steps you use in your practice every day: evaluate the symptoms, diagnose the problem and prescribe treatment. Let’s start with the evaluation. Inbound leads. A healthy marketing strategy generates new top-of-the funnel leads on a regular basis. Social media network. Your social media channels (Facebook, Twitter, Instagram, LinkedIn, etc.) should attract new followers and fans. Email subscribers. A healthy newsletter regularly gets new subscribers and has reasonable open rates, unsubscribe rates and bounce rates. Financial benchmarks. Keep an eye on your cost per lead, cost per follower and other financial indicators. Do these numbers line up with industry standards? If your metrics look good, your strategy is healthy. If not—well, that’s when you need to diagnose the problem. Before you can determine a treatment, you have to know what’s causing the symptoms. That’s where a working knowledge of marketing comes into play. Marketing consists of communicating the right message to the right audience in the right place at the right time. But how do you know if you’re accomplishing that goal? Place. Place describes where you do business and where you market yourself to your audience. It can encompass both geographic locations and marketing venues. Price. Price evaluates how your pricing strategy measures up with patient expectations, industry standards and competitors. Product. Product (which also includes the services you offer) looks at what you’re offering and compares it to what your patients want or need. Promotion. Promotion deals with how you get your message out to your ideal patients. 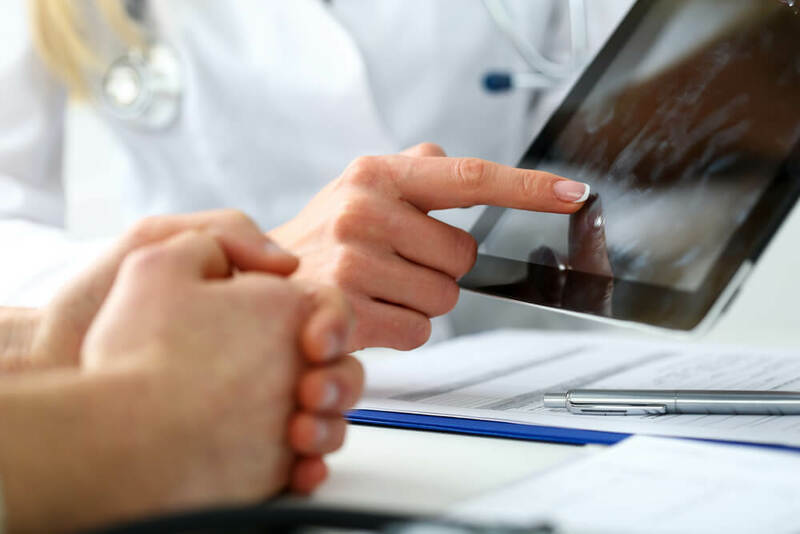 With these four categories in mind, let’s take a look at how a mid-size healthcare practice could use them to diagnose a strategic healthcare marketing problem. Dr. Brandon operates a mid-size pediatric healthcare clinic located in a suburban area. He primarily serves middle-class families with young children. Goal: To build a stronger online presence, increase awareness and persuade prospects to choose his practice for their long-term pediatric needs. Challenges: Dr. Brandon’s practice is one of four pediatric offices located in his area. He needs to increase his visibility, target prospective patients in his geographic area, and create a stronger online presence to outperform the competition. He currently has low website traffic and a small social media presence. Diagnosis Strategy: Dr. Brandon should ask targeted questions under each of the 4 P’s. These questions will diagnose his online marketing weaknesses and pinpoint action steps. Where will prospective patients look for you online (your website, social media, organic search)? Which channels are they most likely to use when searching for health information? Are your prospects located in one specific geographic area? Are you using local SEO effectively? How much do your prospects value your services? What are the established price points for pediatric services in your area? Can you incorporate discounts or special offers into your pricing strategy? What services do your prospects want/need (wellness visits, vaccinations, diagnosis and treatment of illness, emergency care)? How and when will a patient need or use your services? Are your services and any associated products easy to find and understand on your website? What is the online patient experience like? Can you give your service a unique name to differentiate yourself from competitors? Where and how can you communicate your message to that group? What online marketing channels will reach your patients most effectively (website, Facebook, Twitter, Instagram, newsletter)? What promotional activities do your competitors use? How can you outperform them in those channels? Identify areas that need improvement. Dr. Brandon should use the 4 P’s to highlight weak areas and plan better solutions. Decide where to invest time and resources first. If he doesn’t have enough resources or personnel to tackle all improvements at once, he’ll need to decide which ones present the most urgent need and address those first. Answers to these questions and specific solutions will differ based on the needs of your practice, of course, but a general rule of thumb is to address your website first since that serves as your central hub for online activity. Then branch out to supporting efforts like social media, email and paid advertising. Is your healthcare marketing strategy on life support? We’re here to answer your questions! Call us to set up a consultation with one of our healthcare marketing consultants and get your personalized diagnosis and treatment plan!